New Book, New Series, New Adventures! 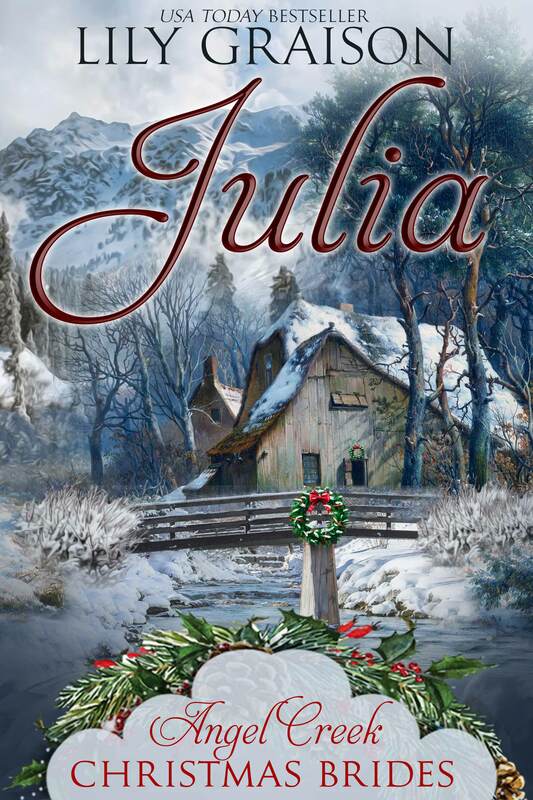 « Get These Two Holdiay Romances FREE! I’m so excited to share a project with you I’ve been working on for months. 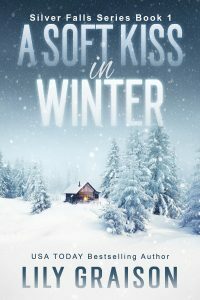 I’ve had a secret love affair with science fiction romance for a very long time (Thank you Ruby Dixon) and after years of reading it, I took the plunge and wrote one myself. It has been an exhilarating change of pace and has allowed me the opportunity to let my imagination run wild and take a brand new adventure right along with my characters. 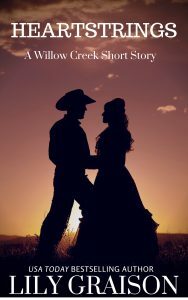 I love my historical westerns and have NO PLANS to stop writing them so, fans of the Willow Creek Series and my new Silver Falls Series, don’t panic! 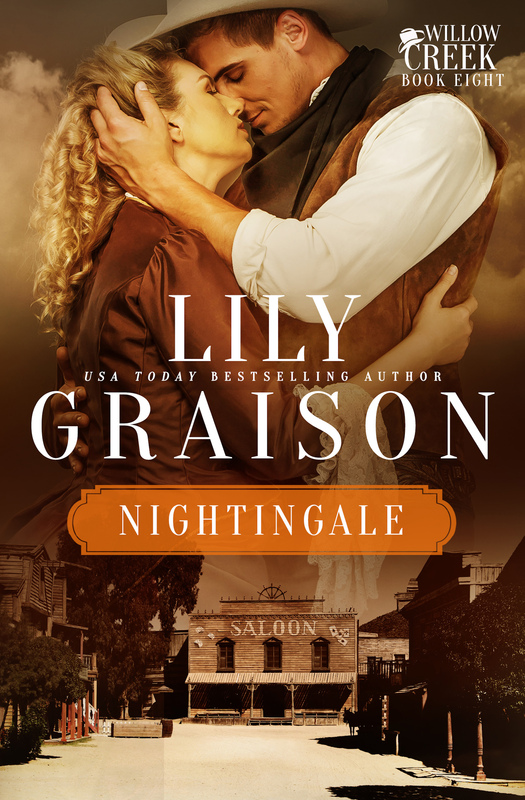 I have more of those books coming in 2018, Nightingale, Willow Creek book 8 in the next few months. In the meantime, take a look at DRAGON FIRE, my first contribution in the Prison Moon Series I’m writing with my author friend, Alexandra Marell. Her first book in the series, PRISON MOON: ICE HEART is available at Amazon.com and FREE on Kindle Unlimited! Abducted by aliens and housed in an airtight room with twenty other girls wasn’t Sara’s idea of a good time. Neither was being dropped into the jungle of a Prison Moon, but for the rest of the galaxy, it was. She was the entertainment. The game? Survive the lawless alien criminals who ran wild or die trying, but there was no outrunning a dragon, and he didn’t seem to be in any hurry to let her go. Toren has spent the last several centuries sleeping beneath the rubble of an abandoned temple. The wars decimated his world and now was used as a dumping ground for the most vile creatures in the galaxy. A Prison Moon where it was kill or be killed. He slumbers to escape but awakes when a female, the first he’s seen in centuries, stumbles into his lair. And now that he’s seen her, he’s not letting her go. But the corporation that runs the Prison Moon One has other plans. Broadcasting a televised event across the galaxy of an Arena fight between a live dragon and any willing to fight him will bring in more viewers, and money, than they could imagine. All they had to do was catch him and to do that, they had to take the girl. Pre-Order your copy exclusively at Amazon.com and Kindle Unlimited! They stayed by the pool for most of the day. It wasn’t until the sun lowered in the sky that Marcy’s stomach growled loud enough they both frowned. The moment she heard it, hers growled too. “Well, it’s like that here, too.” She motioned toward the jungle. “Nothing is stirring back here, either. It’s just weird.” She crossed her arms over her chest and stared at the trees. “It almost makes me think something is keeping everything away?” Like maybe whatever made that loud sighing noise earlier? “Unless it sneaks up on us from behind.” She laughed at the look on Marcy’s face and stepped out of the ruins. They left the pool of water and the shelter of the ruins behind and ventured into the jungle again. The trees weren’t as densely packed here and they walked a good distance before she saw the first sign of disturbed dirt. She had no clue if the tracks were old or newly made, but she steered them in the opposite direction they were going just in case it was something large enough to eat them. Something rustled the branches low on the ground a few feet ahead of them. They froze, both staring at the underbrush. A tiny blue creature the size of a small rabbit popped out from under the brush but it looked nothing like a rabbit. She wanted to say it was a small troll. Its body was skinny and it stood upright on two legs, its head was slightly larger than the rest of it and it had no hair. Ears that hung and drooped off the side of its head to rest near its shoulders made it look almost cute. It saw them, it’s large dark eyes turning their way. The creature blinked, looked toward the brush again, then scurried in the opposite direction. They kept walking, cautious now that they’d seen the first animal that inhabited this place. She was pretty sure not everything here would be tiny and cute like that blue thing was and she knew it was only a matter of time before they found it. They’d walked nearly three hundred yards from the ruins when she heard the first grunt. Marcy grabbed her arm and pulled her to a stop. She must have heard it, too. The trees behind him moved and more—things—come crashing out into the open. The locals had found them. Marcy screamed so loud it caused every hair on her body to stand on end, her own screams joining in when those things started toward them. They both turned and ran. It didn’t take long for those creatures to close the distance between them, the ground shaking as they ran, the snarls and growls she’d heard earlier once again filling the air. They should have stayed inside the ruins. Whatever kept animals from getting too near it had to be less scary than the mass of bodies slowly gaining ground on them now. A bellowing roar tore through the air long minutes later, a flash of red light filling the sky in her peripheral vision. Intense heat flared at her back and those snarls and growls turned into screams. Gooseflesh dotted her arms at the sound. Was something larger than those creatures they’d seen chasing them in pursuit off them now? Sara hiked up her knees, her arms pumping at her sides as fear drove her to run faster, Marcy half a step behind her. She hoped she kept up. She didn’t want to die because her new friend was three-seconds slower than she was. The screams behind them grew and her heart felt ready to race from her chest. The dense thicket of trees seemed to thin as they ran, then disappeared completely when they ran out onto a grassy area. It took her only seconds to realize the ground ahead of her was gone. Marcy’s scream joined her own as she saw the edge of the cliff and tried to stop but momentum kept pushing her forward even as she tried to turn and reach for Marcy. The landscape flashed by, then she saw nothing but the blue-pink haze of the sky as she fell. Her screams echoed through the canyon as she tumbled, the ground below her hundreds of feet down. Her stomach crawled into my throat, Marcy’s voice as she screamed her name fading as she plummeted, the cliff growing further and further away. Your life really does flash before your eyes right before death and all Sara could think of was how she’d wasted what time she’d had. Her impending death caused her muscles to relax, her pounding heart racing so fast she grew dizzy, her vision going out of focus moments before a dark shadow blotted out the sun. It fell over the side of the cliff and headed straight for her. She stared at it, her vision going dark around the edges as one clawed foot came into her field of vision before clamping around her body as another burst of heat and flame filled the air. Her last thought as she blacked out was, there’s no such thing as dragons.